drinks: summer of fruit beers | eat. drink. fly. despite summer’s lackluster performance this year… i declared summer of 2012 the summer of fruit beers. but i’ve since done a little more homework. you know… in case i wasn’t sure. 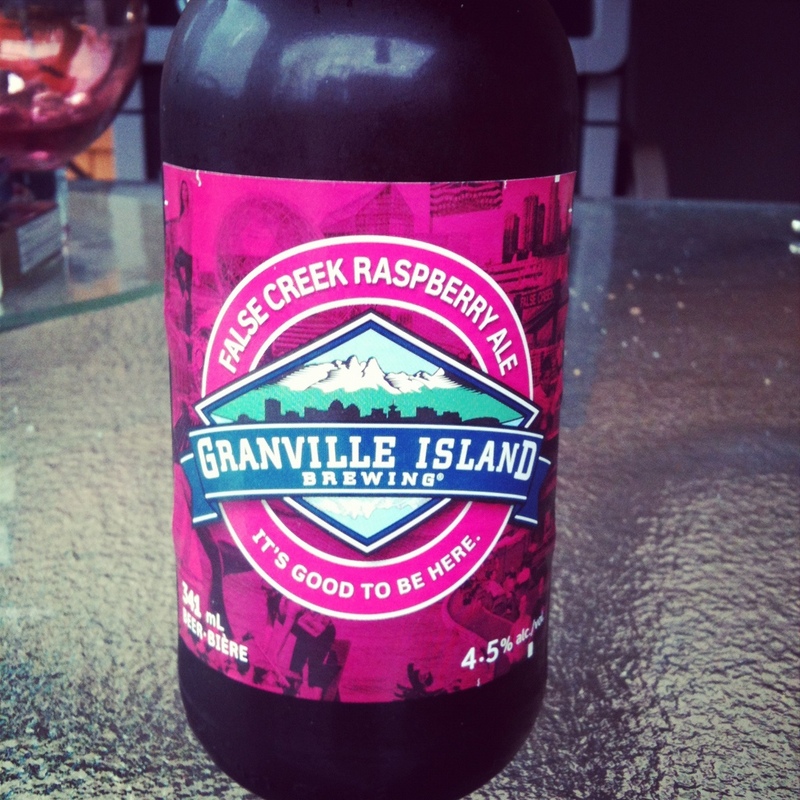 definitely a reigning champ of fruit beer awesomeness is the granville island raspberry. i mean… it’s kinda obvious. granville island makes a damn fine beer on any day of the week, but you throw some raspberries up in there and you have a winner. it’s a great “intro to fruit beers” in that its the familiar distinct flavour of granville island that we all know and love, but with a nice raspberry edge. so it’s not reinventing the wheel… it’s just greasing it up with something extra. 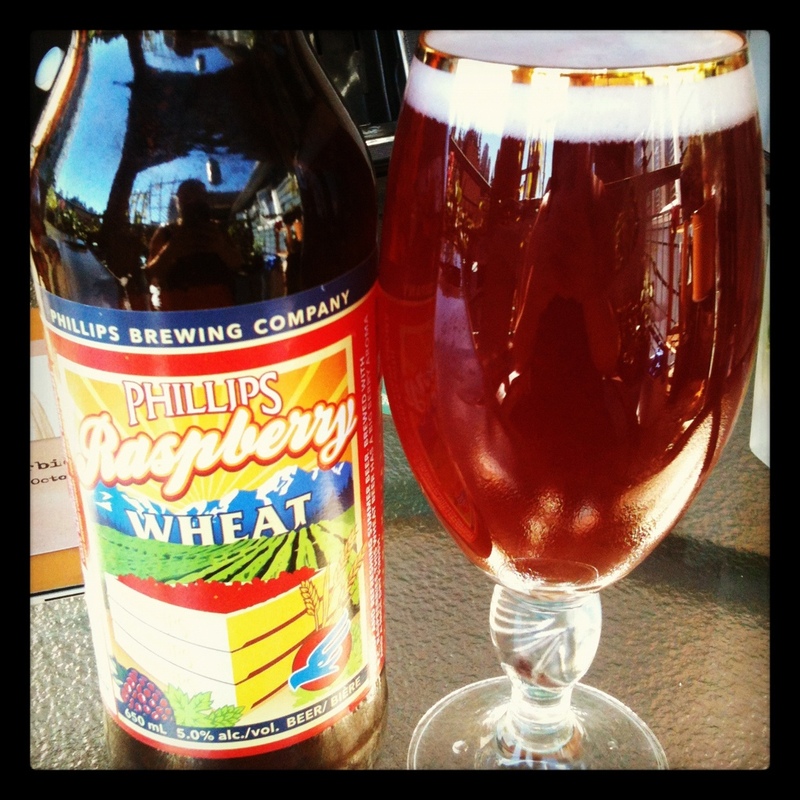 there’s a couple raspberry offerings this year… and phillips made a solid contribution to the genre. disclaimer: i am a total whore for phillips beer. i LOVE their stuff. with the exception of their mad hopps creations, i am pretty much down with everything they’ve ever touched. their blueberry pail ale is one of my all time favourites. but alas, i did not get one this year… so i had to settle for the raspberry wheat. its yummy. and very berry. while the GI rasp is more “raspberry flavoured”, this one is like drinking mashed up berries. its a very authentic berry flavour. 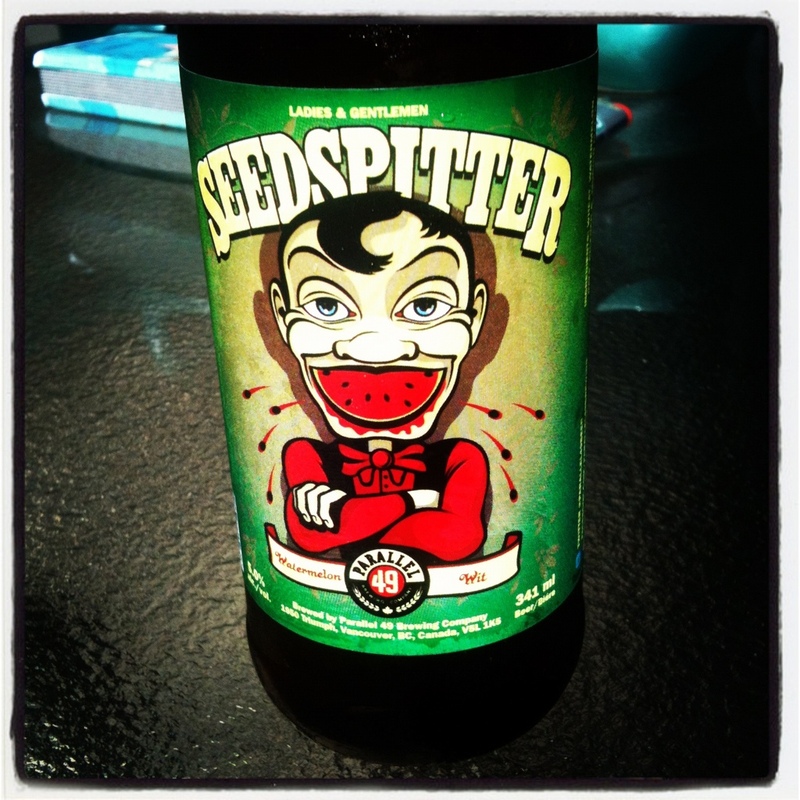 this year’s “fruit beer game changer” is totally the parallel 49 seedspitter watermelon wit. never has a single beer divided a friendship circle so sharply. you want to talk a about a LOVE it or HATE it beer? i, am absolutely on board 100% on the love wagon. the capital LOVE wagon. as is my husband, moonbeam and loads of our other friends. some, however, think this is the most foul thing they’ve ever tasted. i have had clerks at the liquor store try to talk me out of buying it. my brother told me he took one sip of the one i left him and dumped the rest. there is no middle ground with the watermelon beer. for me, i could happily drink this one non stop all summer… and i pretty much have for the last month. i have a few 6-packs squirreled away because i’ve heard they’re about done for the season. there’s 4 in my fridge. i’m thinking of opening one right now, lol. but i understand how others can hate. it’s a strong, no holds barred watermelon assault that rides a mellow very drinkable wheat beer. its different, its refreshing and i just flat out like the way it tastes. 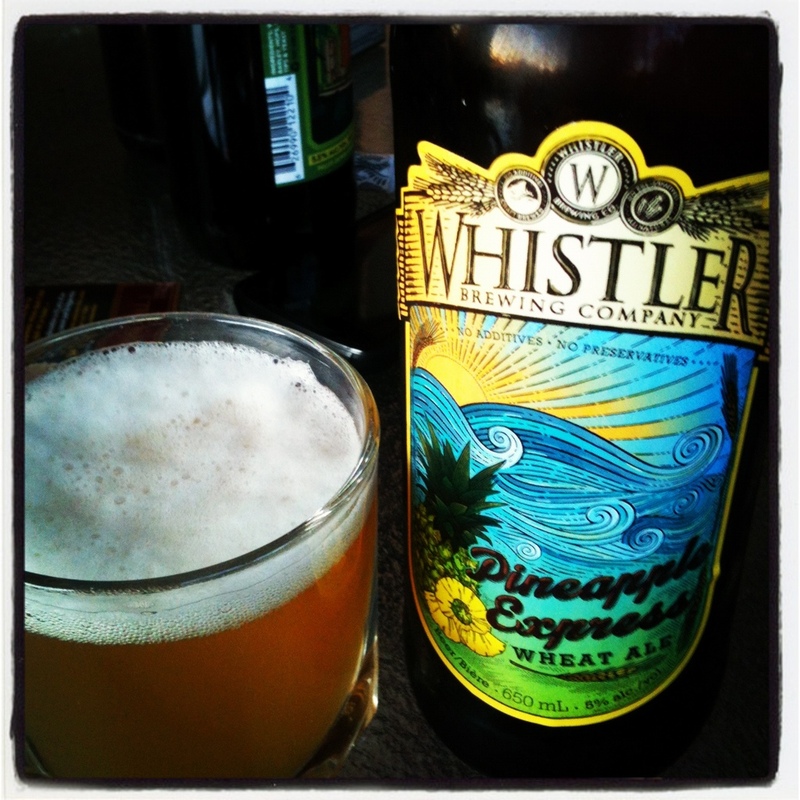 the last one i want to mention on my fruit roundup is the whistler pineapple express wheat ale. i’ve really come around to love whistler’s beers. or maybe their beers are just getting better. either way, i like what they’re into right now. their other fruit offering, the grapefruit beer is in high rotation in our house. my husband is a huge fan. and this pineapple one was good… but didn’t make me forget the grapefruit. i liked that it was a very subtle pineapple flavour. not too aggressive at all. lastly… this is about as far from fruit as one can get… but i realize i never featured it on the blog and it definitely warrants a mention. if for no other reason than for sheer WTF-ness. 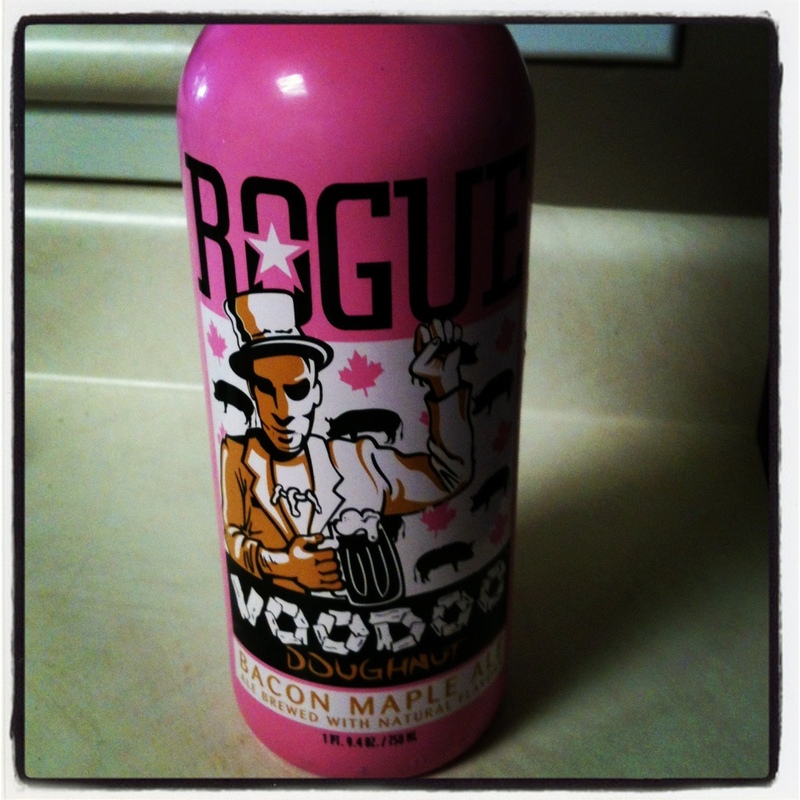 ya, thats right… a beer based on a maple bacon doughnut. and not just any one… the famous voodoo doughnuts maple bacon doughnut that was years ahead of the trend. i’m not sure what to entirely say about this beer except that it legitimately tasted like a bacon maple doughnut. like smoky bacon and real maple syrup and yeasty doughnut. one of those flavours where you sipped, stopped, looked at it and said, that was weird. not a beer you’d drink all night… but one i was glad i can say i’d at least tried. the Seedspitter did taste surprisingly good! yum. I tried this at an Electronic Arts event the other day … they contracted Parallel 49 for the event and featured all of their beers in the garden. Colin brought me the Seedspitter (I was like, hey, this is the beer Natalie blogged about last night!) and I couldn’t get into it so I sampled all of the other offerings and they were so awful that I went back to the Seedspitter and by the end of my time in the beer garden I had kind of fallen in love.